I was privileged to spend Shabbat with the King Solomon Israel Trip two weeks ago, as well as seeing them at the Kotel on Tuesday night, just before they returned to the UK. In addition to being special on a personal level, since I taught many of the students in my time at the school, I believe it was a truly unique trip, and I'd like to share some thoughts about it. 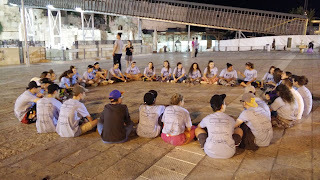 1) The ruach on Shabbat was truly one of the most incredible I have ever experienced in my life - and I have merited to eat many a Shabbat meal with groups of young people. Everyone without exception stood on their chairs and sang at the tops of their voices - there was a palpable feeling in the room that something unique was happening. When you consider that tefilla and Jewish songs do not play a large role in the school, this is all the more remarkable. What I take from this is that Israel allowed these young people to express themselves in ways they aren't able to do in a mixed Jewish and non-Jewish school. 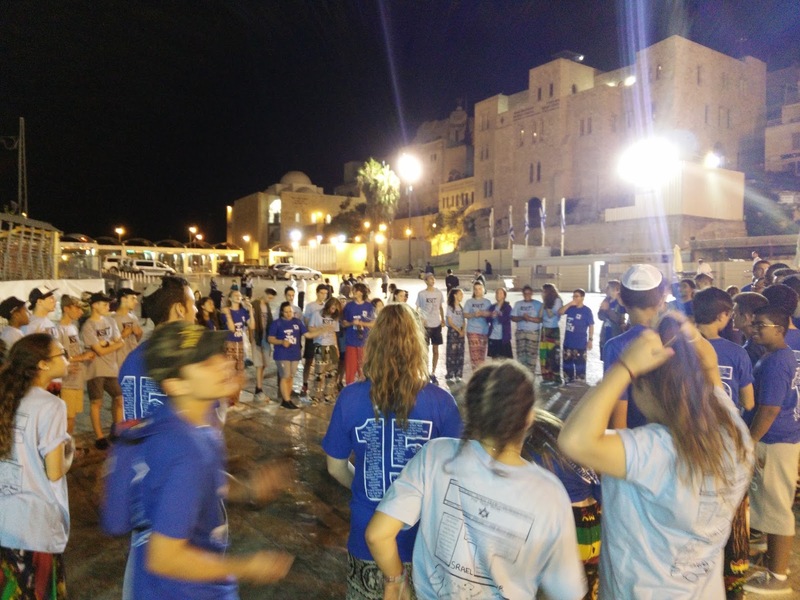 In Israel, they felt free to be Jewish, sing Jewish and keep Shabbat (even though most do not keep Shabbat at home). Only here was I able to fully appreciate the words of our Sages, "The air of Eretz Yisrael makes one wise", meaning that it has a transformational impact on people's lives. 2) Conversations with some of my former students reminded me of some key principles of education, which it is always important to remind oneself of: Never write anyone off - one of the children who was particularly disobedient in my Jewish Studies classes and could have been dismissed as 'disinterested' three years ago, was the same one who made up an optional Mincha minyan, and who is passionate about returning to Israel next year. There is not a moment when an educator is 'off-duty' - it was fascinating recalling events of years gone by, and being surprised at what still stands in their memories (usually the out-of-the-ordinary hadracha-style lessons and personal comments as opposed to the most content-heavy lessons!). Remember people's names, personalities and stories - young people want to be remembered more than they want to be taught. 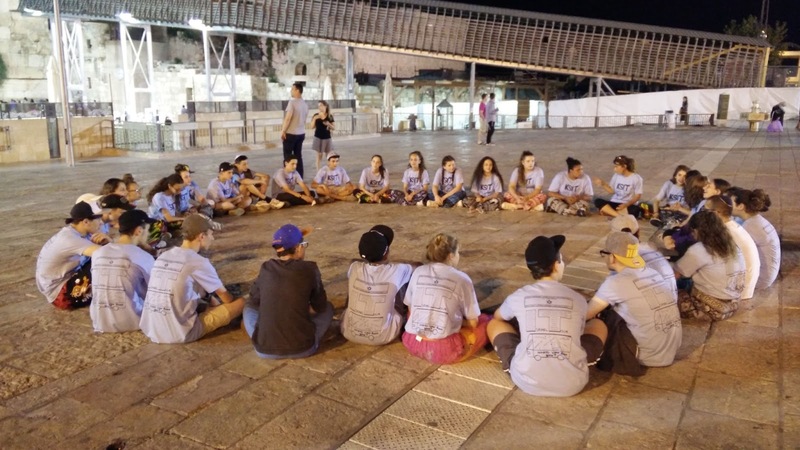 3) In the time I was with the group, a few people tried to derail the amazing educational experience that was being had, namely the hotel manager who stormed into the dining room and told the group to stop singing so loudly and the two outwardly-religious men at the Kotel who told the group to be quiet when they were singing Jewish songs. If only they had known what experience they had the effect of damaging, I thought. But then, when I tried to explain it to one of them, he wasn't prepared to engage in any form of conversation. For this insensitivity, lack of understanding of one's fellow and unwillingness to engage in dialogue, I mourn this Tisha B'Av. 4) It is quite clear that what King Solomon students need most of all are madrichim, to serve as proud, Jewish role models that they can aspire to. They had them on the trip, and loved them. Sadly, because of the demise of youth groups in North East London - particularly JYSG, whose niche has never been filled and whose closure has been thoroughly tragic for the community - they are not exposed to many Jewishly-inspired madrichim, or for that matter, Jewish Studies teachers. To anyone in London reading this blog, who has the ability to fulfil this role as a formal teacher or in an informal capacity, I encourage you to get involved, and try and make a difference to a community that really needs you. You will be as enriched by the experience as they will! Despite the fact that there are many challenges maintaining Jewish identity and education within the North East London Jewish community, I hope these words serve as a comfort to those who are working for it, and a motivation to those who could. The Jewish youth of King Solomon High School deserve only the best that the wider community can provide.